Thursday, Dec. 13 | 6:30 p.m. Enjoy dinner with faculty member Cheryl L. Woods Giscombé Dec. 13 – Dinner begins at 6:30 p.m. and includes three courses plus coffee and tea. Jacket required for men; no jeans, please. Cheryl L. Woods Giscombé, PhD, RN, PMHNP-BC is the Melissa and Harry LeVine Family Professor of Quality of Life, Health Promotion and Wellness. 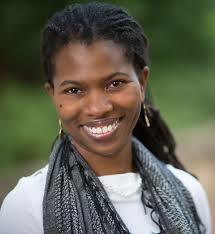 Her program of research focuses on understanding and reducing stress-related health disparities among African Americans. Her research incorporates sociohistorical and biopsychosocial perspectives to investigate how stress and coping strategies contribute to stress-related psychological and physical health outcomes. Dr. Giscombé has a particular interest in the potential for integrative approaches to reduce mental health-related disparities among African Americans. Dr. Giscombé is dually trained in nursing and psychology. She completed a BA in psychology from North Carolina Central University and a BSN from Stony Brook University in New York. She earned MA and PhD degrees in social and health psychology from Stony Brook University and a MSN from the psychiatric-mental health nurse practitioner/clinical nurse specialist program at the University of North Carolina at Chapel Hill. Dr. Giscombé completed certification in holistic health from the Institute of Integrative Nutrition in Manhattan, New York. In addition, she completed postdoctoral training at UNC Chapel Hill (Interventions to Prevent and Manage Chronic Illness funded by NIH/NINR and the Substance Abuse and Mental Health Services Administration Minority Fellowship Program in collaboration with the American Nurses Association). In 2007 Dr. Giscombé was selected as a “Leader in the Field” by the American Psychological Association when she was awarded the Carolyn Payton Early Career Award. Dinner at The Carolina Club begins at 6:30 p.m. (unless otherwise noted) and includes three courses plus coffee and tea. Lunch begins at 11:30 a.m. Jacket required for men; no jeans, please. Cost is fully refundable for any cancellation made one week prior to the event. Any cancellations made six to two days prior to the event are subject to a 50 percent cancellation fee. No cost is refunded if the cancellation is made the day before, or the day of, the event.